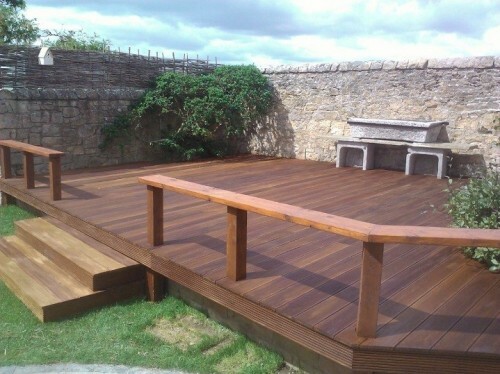 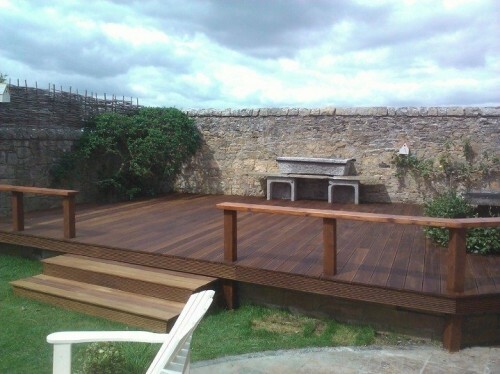 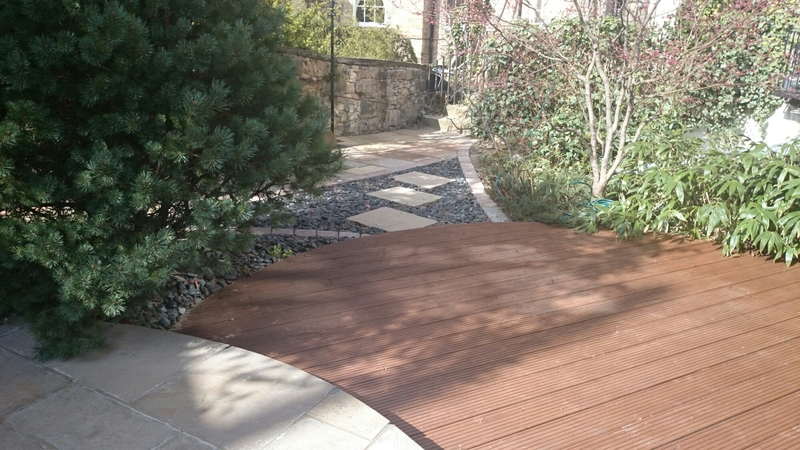 Raised hardwood deck with water feature to foreground to garden in Merchiston , Edinburgh. 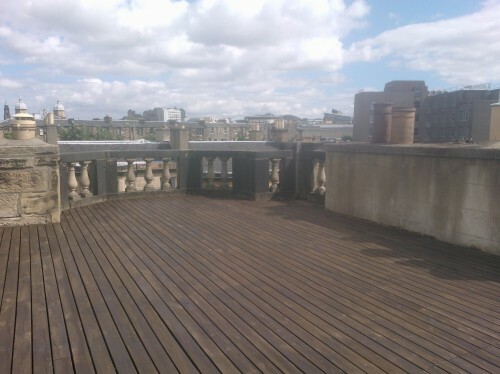 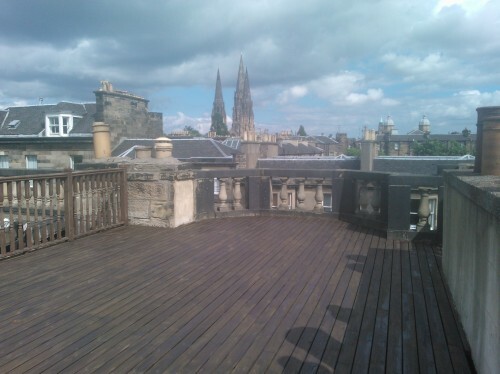 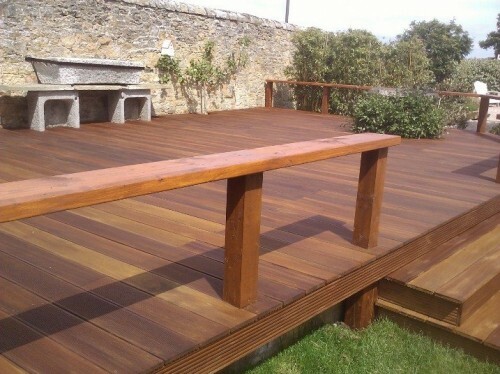 Here’s a deck installed to Georgian house roof in Grosvenor Cres, Edinburgh, treated with Joten Decking Stain, by Garden Construction Co. 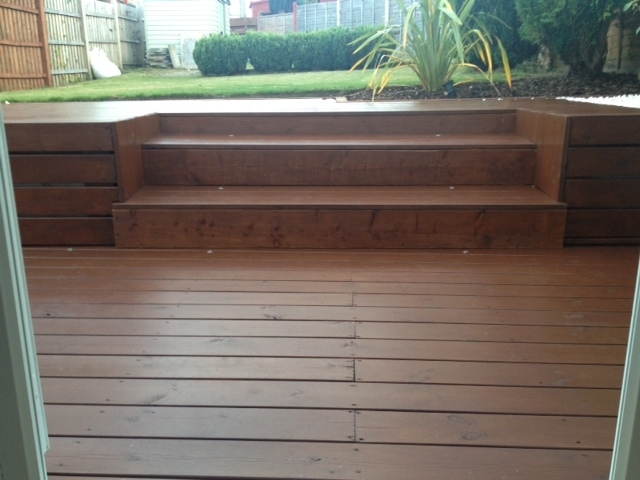 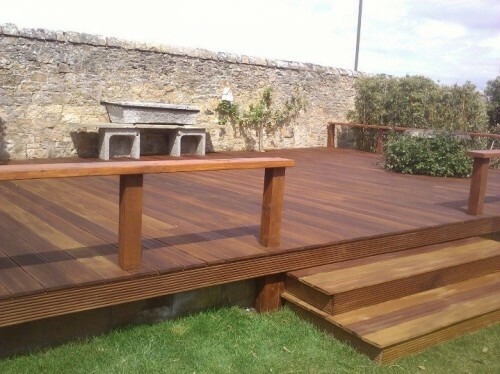 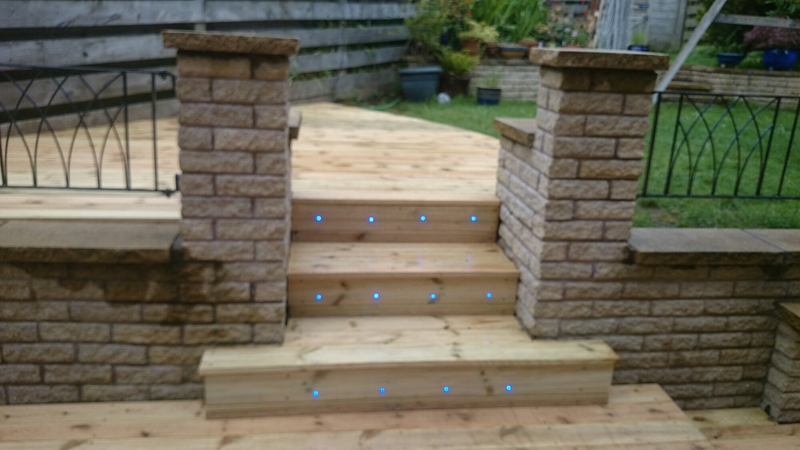 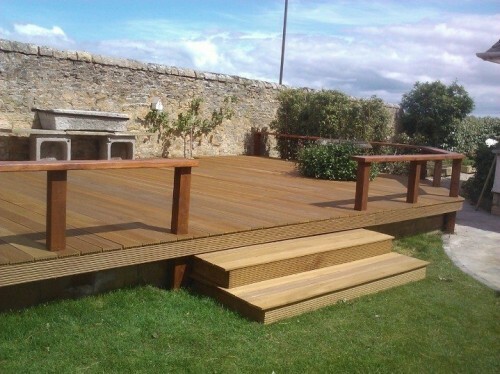 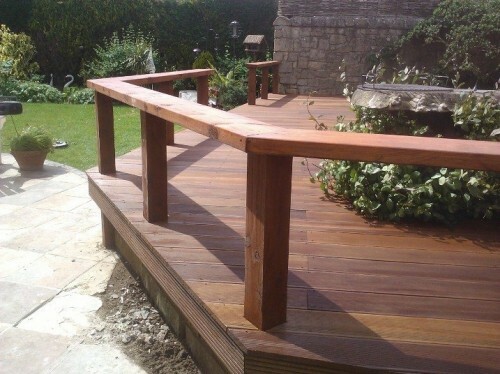 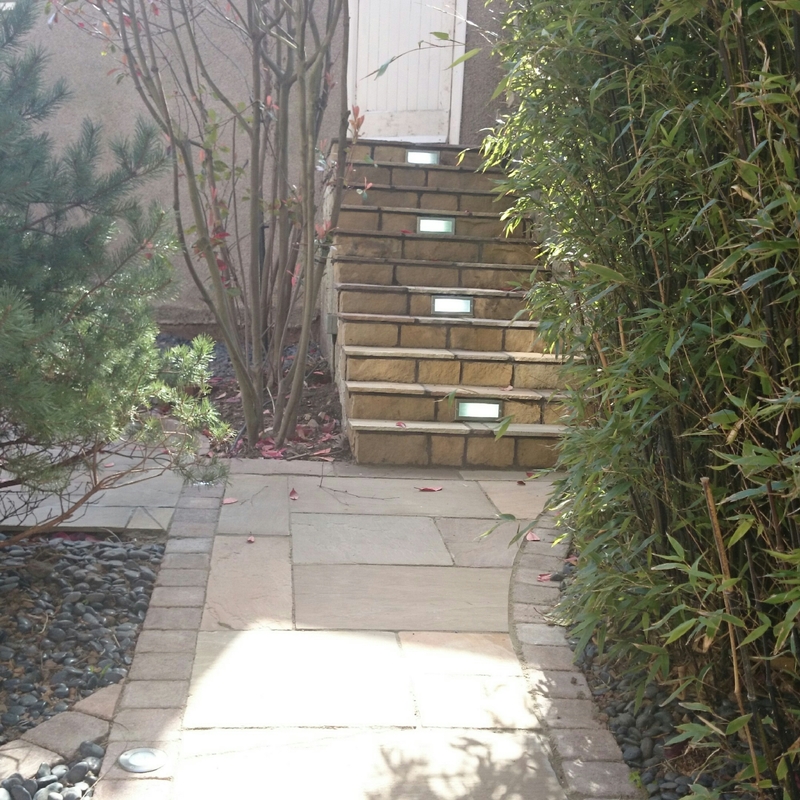 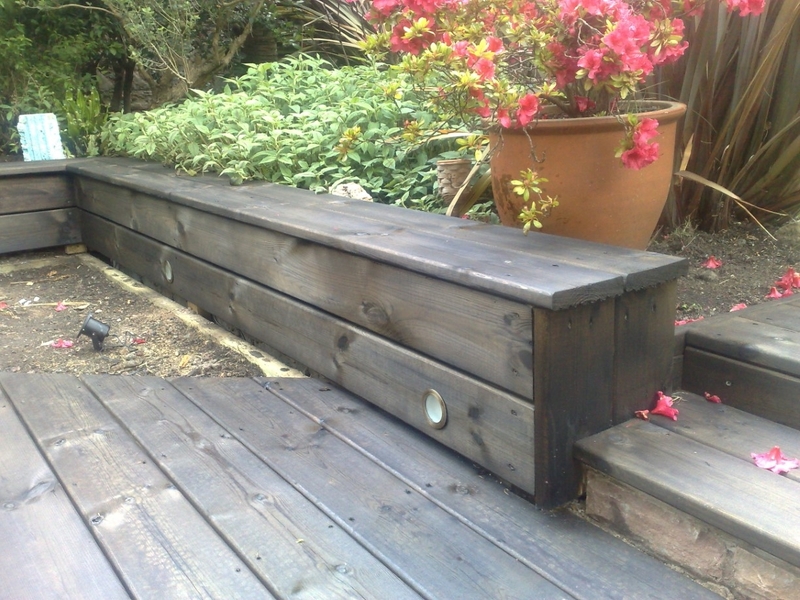 Softwood low level deck to garden in The Grange, Edinburgh, with inset lighting to steps. 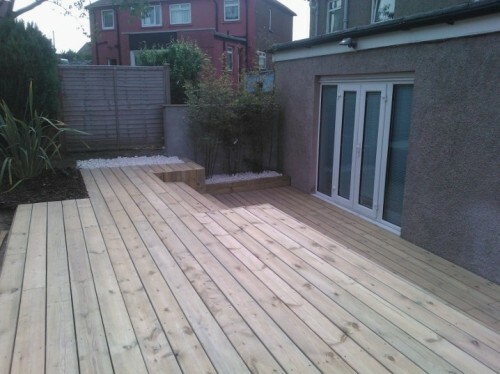 And Decking to Corstorphine garden at patio doors to new extension. 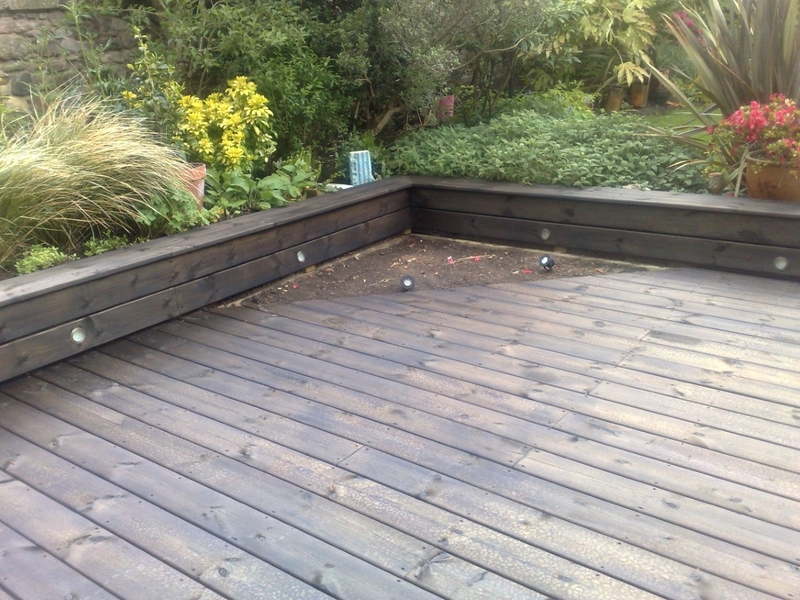 Before and after shots above for a hardwood decking project in North Berwick. 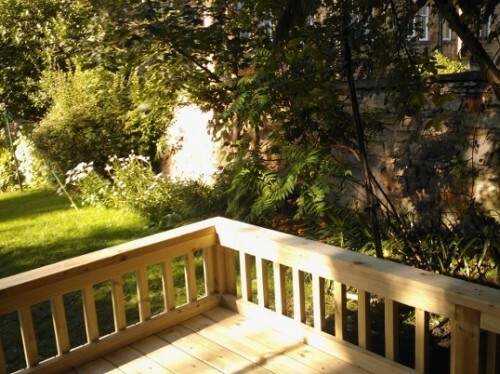 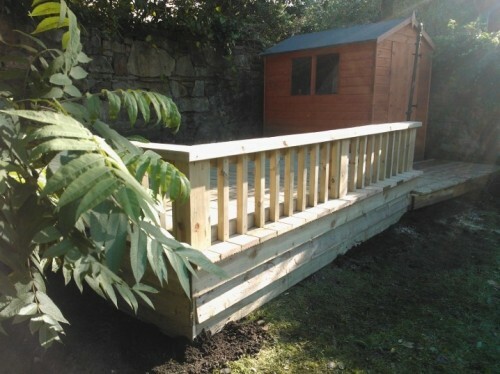 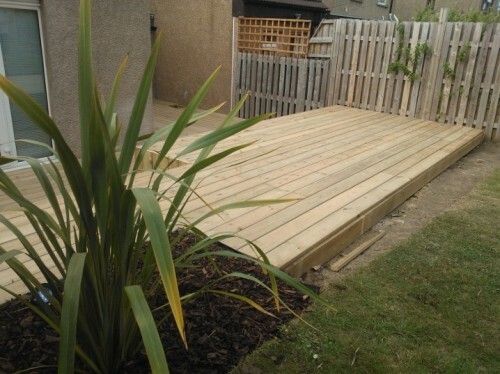 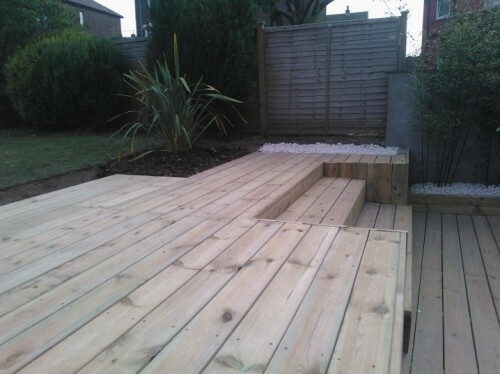 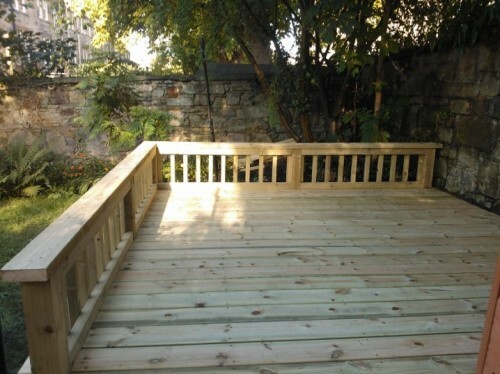 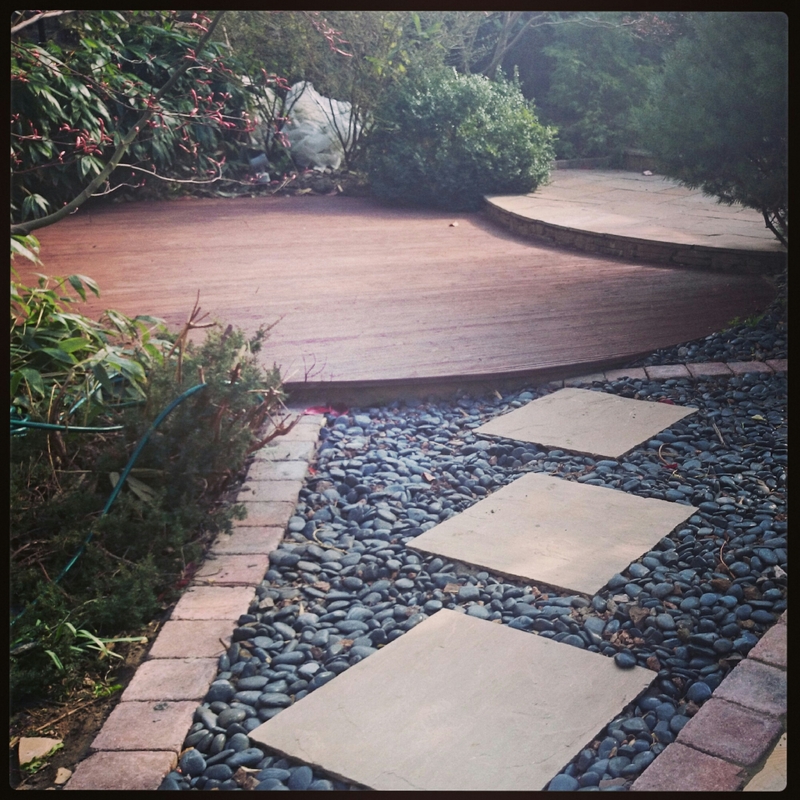 Below is a slideshow for a raised decking project in Morningside, Edinburgh.We also installed the patio.The client,David Smith gave us a great review which can be viewed at our testemonials section on this page. 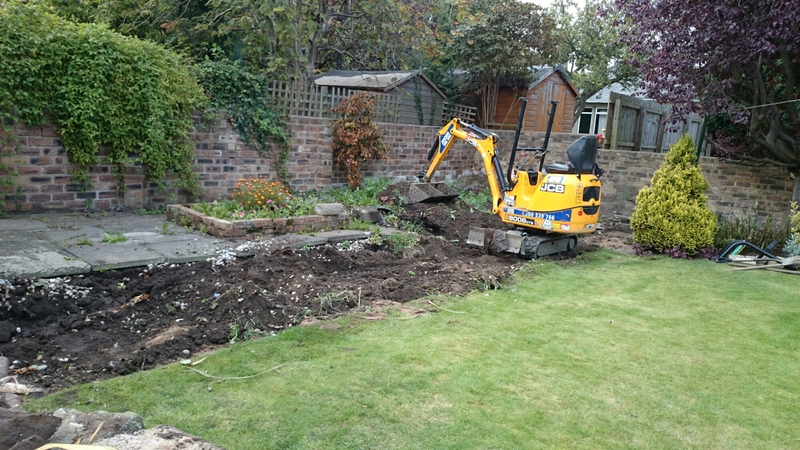 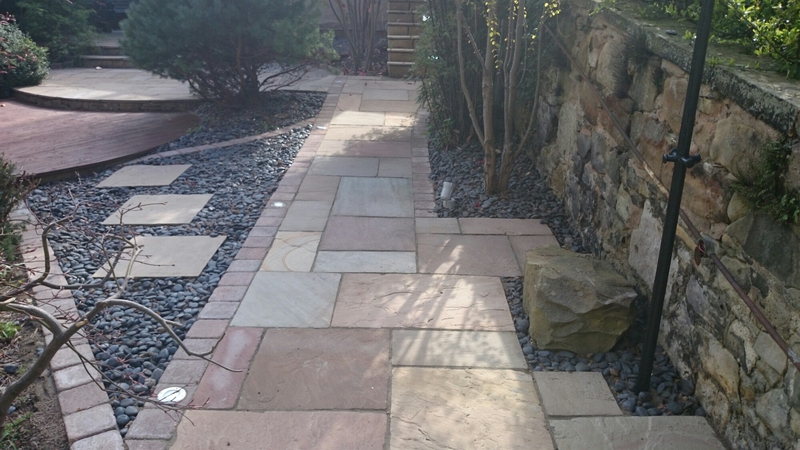 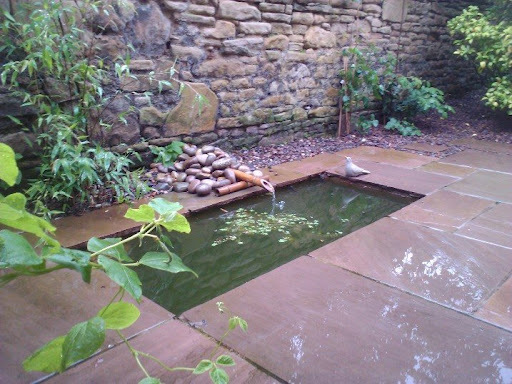 The Garden Construction Co- Garden Designers are Landscape Gardeners offering offering a comprehensive Garden Design and build service throughout the Lothians, Central Belt, and Perthshire. 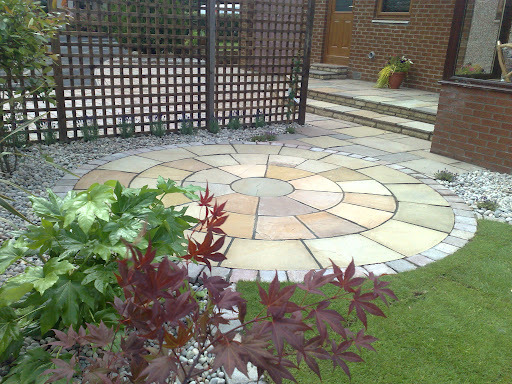 Contact us on 07958995739, email- info@garden-co.com. 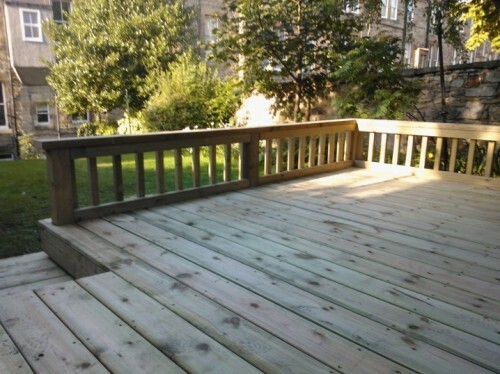 Quotes are free and without obligation. 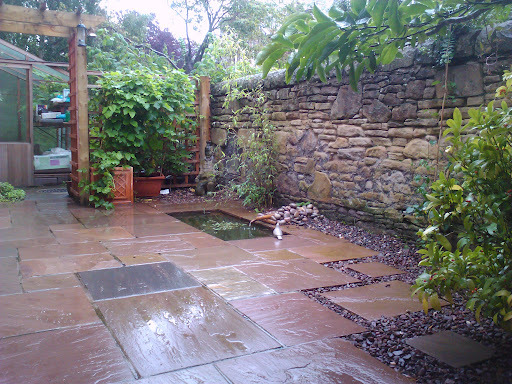 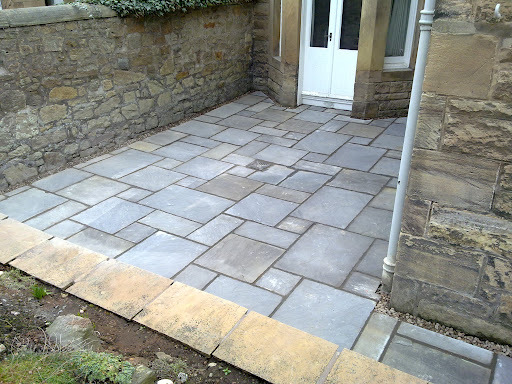 Here,s a project we designed and built for a client in the Grange area of Edinburgh. 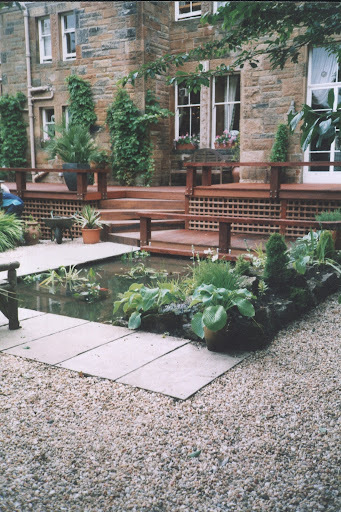 Raised beds with water feature to front centre bed with home office extension and patio doors to upper left. 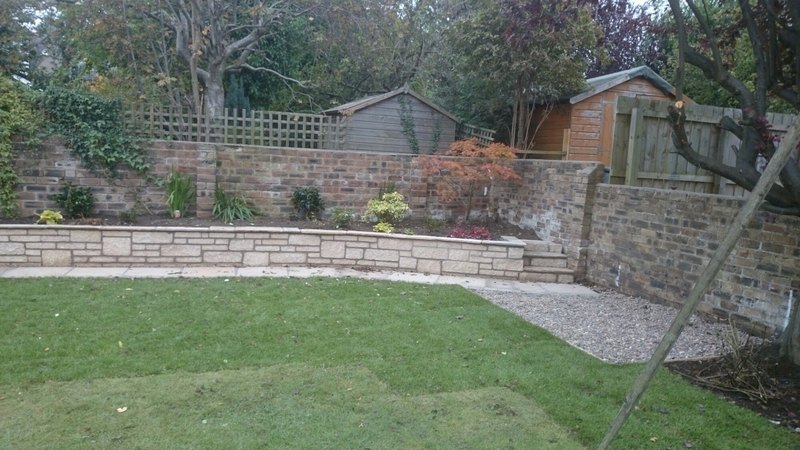 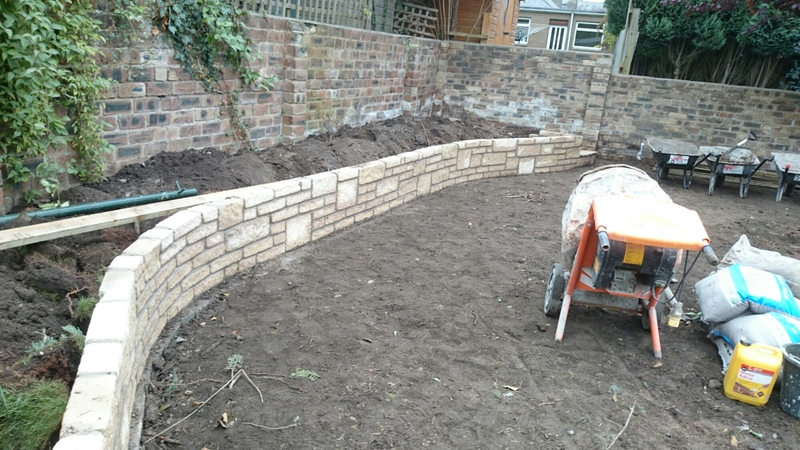 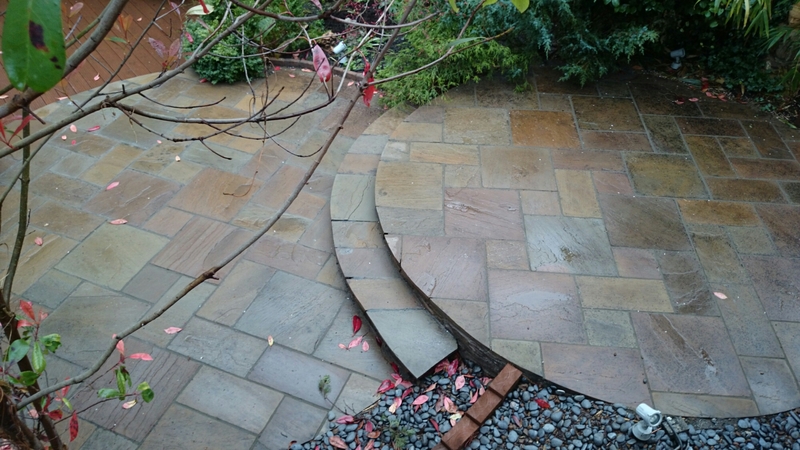 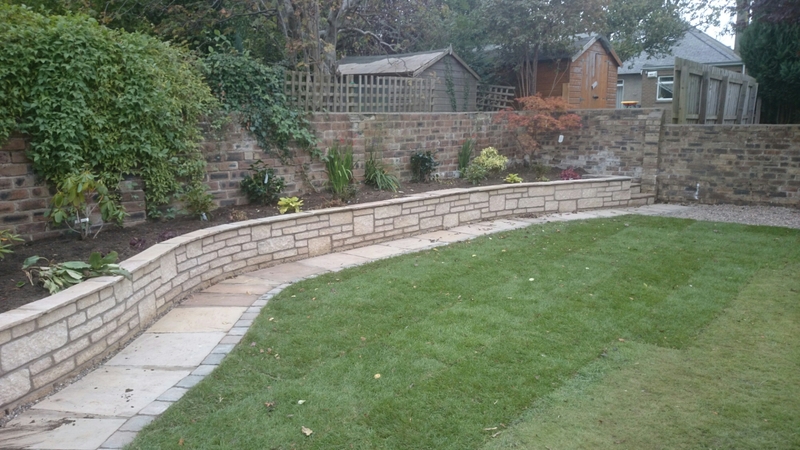 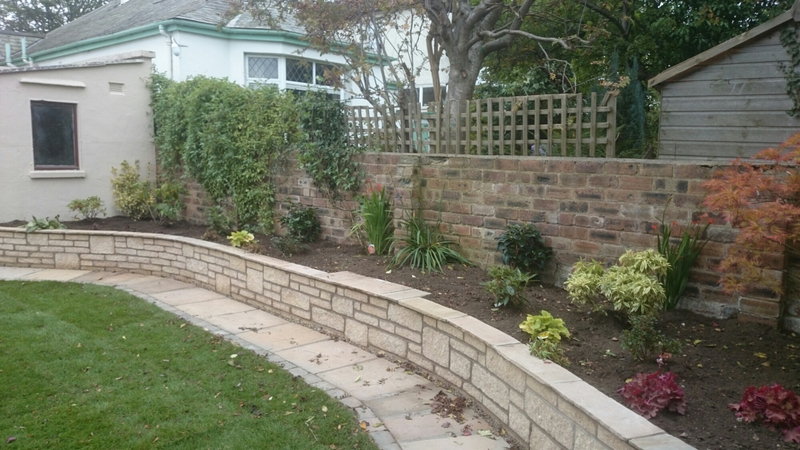 Rendered block wall to screen patio garden , forming a stop to patio and remaining informal garden area. 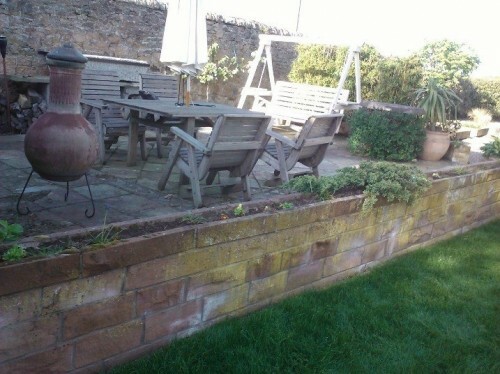 The walls and raised beds are all built from rendered concrete block which was then painted.The copings to the top of the walls are formed from timber which has been stained to a dark brown. 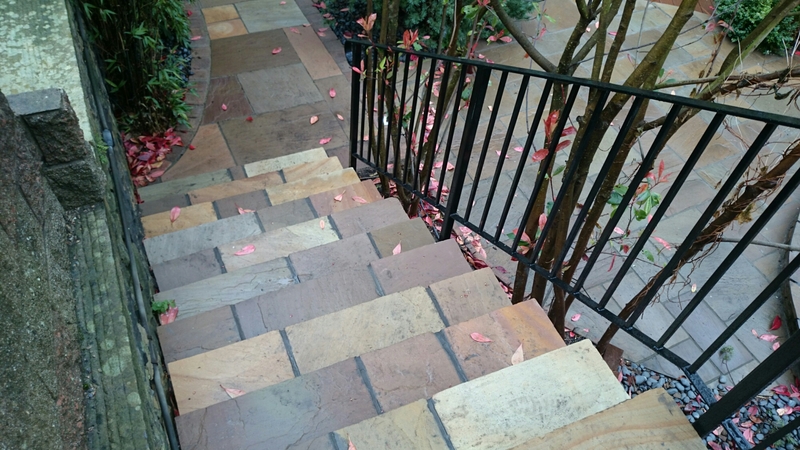 The wall colour was chosen by the client and was inspired by the colour of walls she had seen on Tibetan Buddhist Temples. 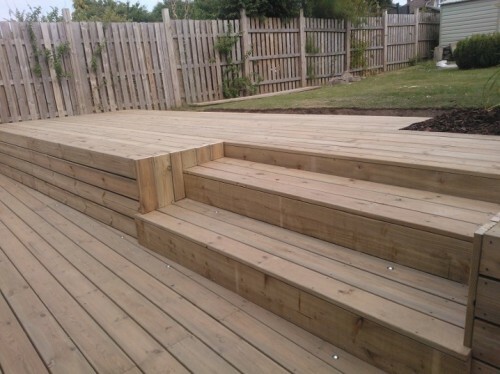 It was a bold choice that worked very well. 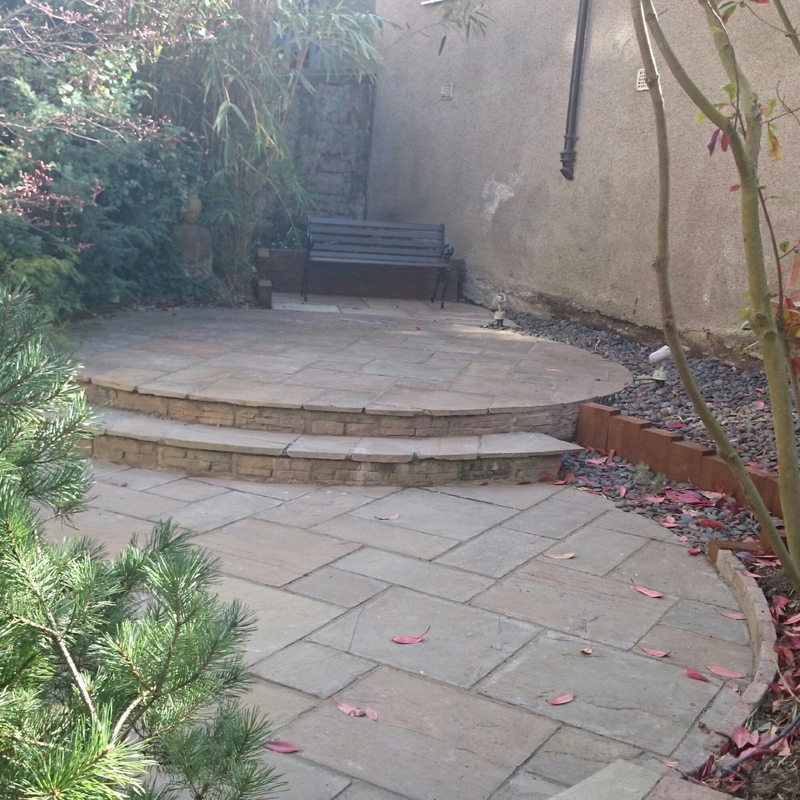 Three standing stones visible to rear of picture on newly laid lawn.